The A320neo incorporates the new CFM Leap-1A engines and fuel-saving wingtip devices known as Sharklets, said a statement from the Kuwaiti carrier. It offers savings in fuel burn, additional payload, increased range, lower operating costs and significant reduction in engine noise and CO2 emissions below the current industry standard, it stated. 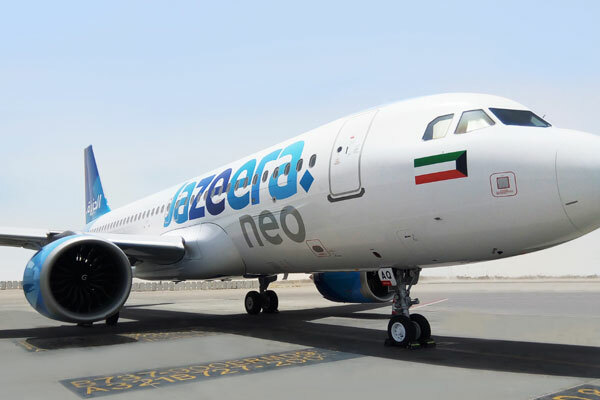 Jazeera Airways operates a fleet of Airbus A320s and now A320neo, all fitted with a two-class cabin configuration comprising a Business Class and an Economy Class, said the Kuwaiti budget carrier.